A late upload today. Changed the gem to blue which work great I think. A few bits on the back to do and the flock and finish. 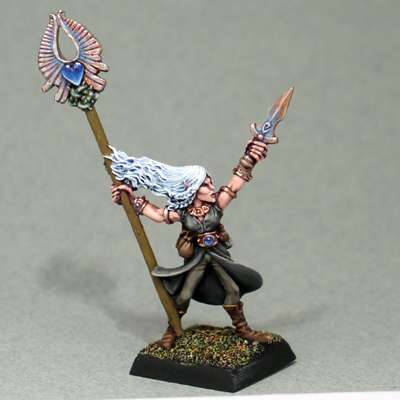 Afterall, the model is meant to be a standardbearer for one of my archer units. Hope to finish her tomorrow.